The politics of telling political opponents they look like a piece of ham. Former Jeremy Corbyn spokesman Matt Zarb-Cousin wrote a column in Huck Magazine asking if it was racist for a white man to say that another white man looks like a piece of ham. He was addressing the controversy surrounding the latest Corbynite pet insult used against middle-aged white Brexiters—”gammon.” Most Americans aren't familiar with the term, but in the U.K. gammon’s a kind of ham. The Labour Party abandoned the working class long ago, just like the Democrats did to the factory workers in Middle America. It’s okay to stereotype and mock these undesirables mercilessly because they're all racists stoked up on petty grievances stemming from their loss of status. They've never been taunted in public or had store security accost them simply because they look different, so different rules apply to them. Guardian columnist Owen Jones assured everyone that the whiners complaining about the slur are merely “crybullies,” a term normally applied to the many aggrieved members of his own political tribe. He ridicules the thought that “affluent middle-aged white men” are under siege, but “gammon” is not just used against the “golf-club bore” he mentions—it’s also commonly leveled against the working class types that Zarb-Cousin writes about overindulging in lager and pork. Jones, who looks like he might write for a high school newspaper, wouldn't want to call one of them a gammon to his face, however, and he’s probably smart enough to realize that. Even if calling people gammons isn't really as racially offensive as some are claiming, Corbynites ought to ask themselves what using the insult does for their cause. It's trash talking, which NBA players love to use to charge themselves up or to chip away at their opponent’s confidence, but politics isn't basketball. Playground behavior may provide some temporary sense of unity and a feeling of superiority, but it doesn't win any votes. The culture of scorn is what helped get Donald Trump elected in 2016. Call people enough names and they're likely to retaliate. 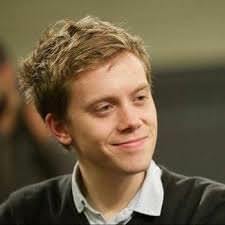 If Owen Jones, who’s gay and a crusader against homophobia, has the right to call someone a gammon, then that person has the right to call him light in the loafers. It's natural to insult your political opponents when frustration boils over, but smarter not to make a public spectacle out of it.